If you’ve read my posts before you probably have caught on to the fact that I’m sort of a crime/mystery/thriller fanatic. I just can’t help it! While I am trying to expand my horizons you’re going to get another mystery review in the meantime. Lydia has a very dark past, one that she doesn’t discuss with anyone. Not even her long time boyfriend. She tries to hide as much of herself as possible but when a young man commits suicide in the bookstore in which she is employed and she discovers, not only his body but also a picture of her from her youth in his pants pocket, the sheltered world she has made for herself starts to come crashing down. Joey, the book shop patron, has left her a series of puzzles to figure out that seem to be eerily connected to her own life. 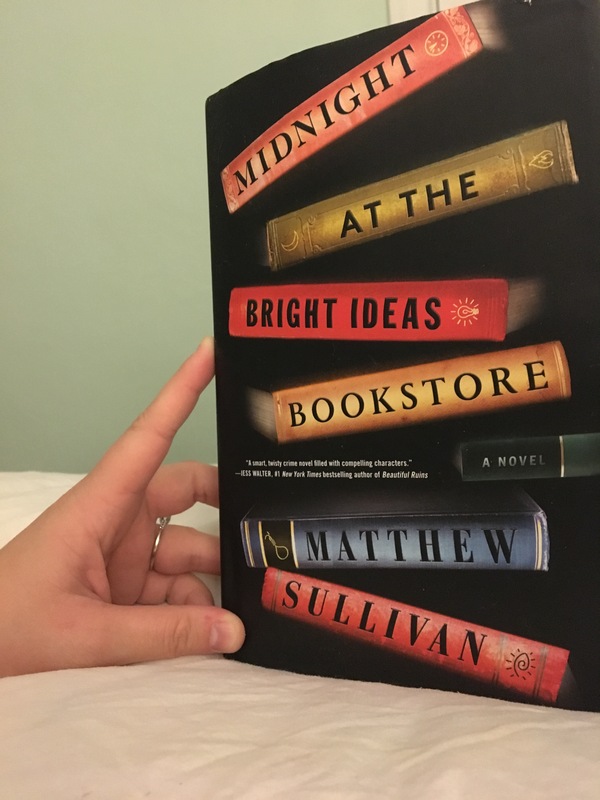 Midnight at the Bright Ideas Bookstore is 326 pages long and took me 6 days to read. While this book isn’t super long, it took me awhile to get into. I really enjoyed reading it and am giving it a 3 out of 5. Even though it was a slow start for me, it was a really intriguing story and I didn’t want to give up on it. I’m very glad I held on tight because the complete story is very worth the wait. Thank you to Simon and Schuster for sending me a copy of this book!